Undeniable off-roading prowess and comfortable on-road capabilities? That's right, the 2018 Jeep Wrangler offers the best of both worlds! 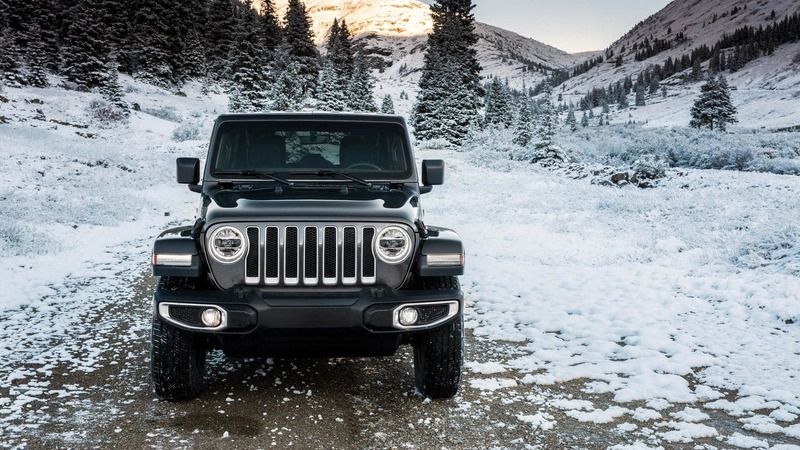 The introduction of the new Wrangler is welcomed with open arms as each new model comes outfitted with all the latest in-vehicle technology and off-roading capabilities that will have you dominating the highway and hitting the trails without a problem. The Wrangler is practically brand new for the 2018 model year with all kind of enhancements from the interior infotainment to the exterior design. We are bringing you all the latest information below so keep reading! Can you tell us about the Wrangler's features? The two-door four-passenger Jeep Wrangler is ready for every adventure! This model is offered in three trim levels -- Sport, Sport S, and the Rubicon. Standard features include tow hooks, full-metal removable doors, underbody protection skid plates, a full-size spare tire, a tilt/telescoping steering wheel, keyless entry, fog lights, a height-adjustable driver's seat, cruise control, 17-inch steel wheels, air-conditioning, cloth upholstery, manual mirrors and locks, and a one-piece rear seating with folding capabilities. The mid-level Sport S adds sun visors, air conditioning, heated power mirrors, automatic headlights, a leather-wrapped steering wheel, an alarm, and more! The top dog, also known as the Rubicon gains even more features! They include heavy-duty front and rear axles, shorter axle gearing, an electronically disconnecting roll bar, an additional USB port, electronic front and rear locking differentials, off-roading tires, and so much more! What kind of power and capability does the Wrangler offer? Jeep offers two powertrain options for the 2018 Wrangler. The first option is the award-winning 3.6-liter V6 Pentastar engine that generates 260 lb-ft of torque and 285 hp. This engine can be outfitted with two different transmission options. The first option is an automatic eight-speed transmission and the second is a manual six-speed transmission. This is actually the only way you can ever pair a Pentastar engine with a manual transmission! The second engine available for the Wrangler is brand new for the 2018 model year. This turbo 2.0-liter 4-cylinder engine that generates 295 lb-ft of torque and 268 hp. This engine is mated to the eight-speed automatic transmission. There are quite a few off-roading 4x4 systems available for the Wrangler. The Sport and Sport S models can be outfitted with the Selec-Trac and Command-Trac systems while the Rubicon model comes outfitted with the Rock-Trac system. What kind of safety features does the Wrangler offer? 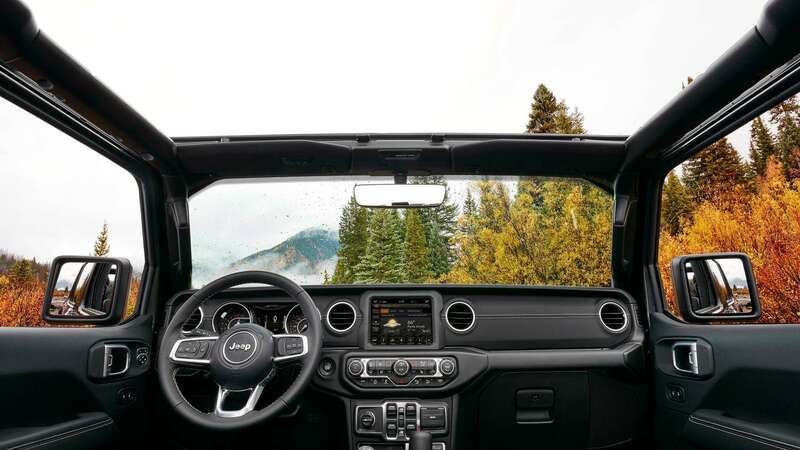 While you are out navigating the road less traveled the Wrangler has your back with tons of modern and advanced safety and security systems and features that keep you safe. Stand out safety and security features include integrated high-strength steel beams for superior side-impact crash performance, blind-spot monitoring with rear-cross path detection that uses radar-based sensors to detect other vehicles that may be in your way, and the rearview backup camera that makes it way easier to back in to the space or back out onto the road! Other standard features you will discover include electronic stability control and roll mitigation, a suite of advanced airbags, hydraulic assist brake booster, a theft deterrent system, traction control, Keyless Go, advanced brake assist, a tire pressure monitoring display, and so much more! The 2018 Jeep Wrangler is ready to accompany you on all your latest travels and adventures! 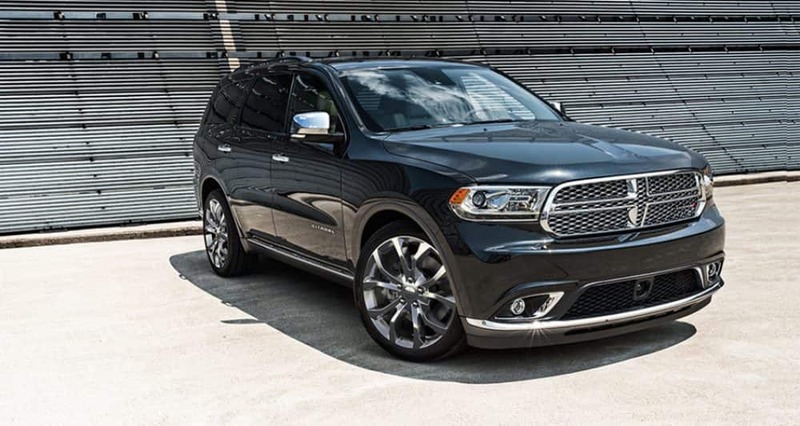 This SUV is more capable than any model ever before and we know that you love it. Come on down to Cuero today to check out our stock of these incredible vehicles today. You can take a tour of each trim level and even take a test drive or two to find out which one is perfect for you! Any more questions? Give our sales department a call (361) 248-2561!